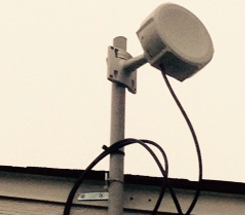 Backroads Broadband installs small antennas that are discreet and don't detract from the look of your home. 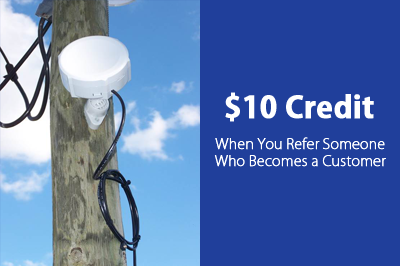 Not only do these antennas provide you with reliable internet, but our data packages start at just $50. Our crews have installed equipment in both corporate and home environments, and will be able to accurately locate the best spot to install the equipment. Naturally, we make sure the location is approved by you before we get started. Backroads Broadband (BRB) is an internet provider that brings the best of high-speed internet to rural areas near us in Corsicana, Texas. Fast, reliable internet is possible outside of big cities, and our family-owned business makes it a reality for rural clients throughout the region. The owners of BRB got their start in this business more than 30 years ago, and are prepared to meet your unique data needs. 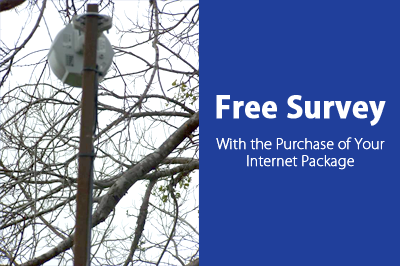 Our installation specialist will stop by and do a survey to see if we are currently able to deliver internet to your location. Once we've determined that you're covered by our service, you can choose a package that's right for you. We're out to provide reliable high-speed internet to rural areas.